You save up to 50% off the high cost of ink-jet and toner cartridges every day when you have your empty ink-jet cartridges professionally refilled at one of over 100 convenient ink-jet refill service centers. Can you think of better ways to spend your money than on expensive, name-brand ink-jet and toner cartridges? 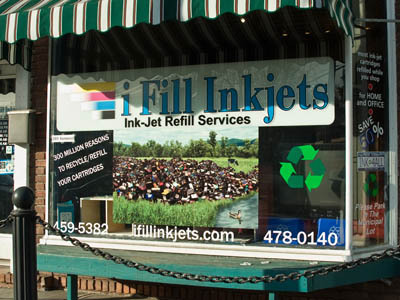 Just bring your empty ink-jet cartridges and we’ll expertly refill them. You won’t sacrifice quality either. Most re-manufacturers use universal, “one size fits all” inks. 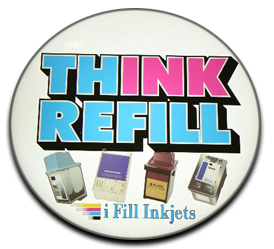 iFillInkjets has over 100 ink formulations which means we’re putting the right ink into the right ink-jet cartridge. Your satisfaction is guaranteed. © COPYRIGHT 2019 I Fill InkJets | Optimized Web Design by SEO Web Mechanics, Inc.